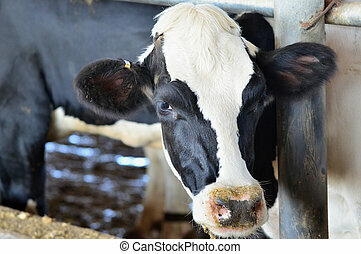 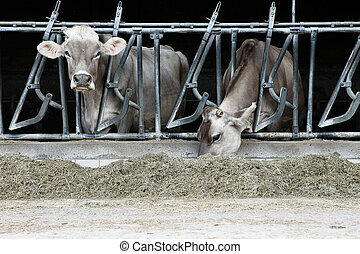 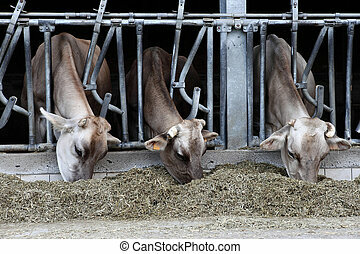 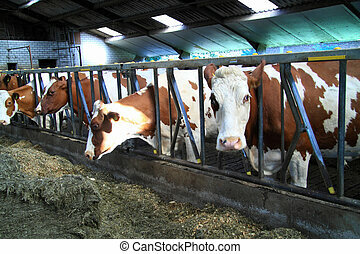 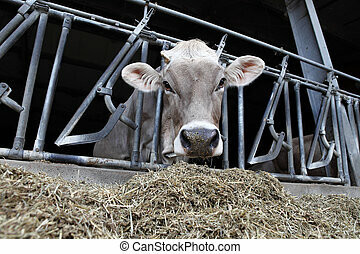 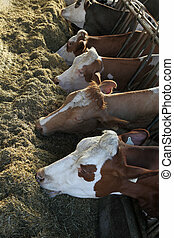 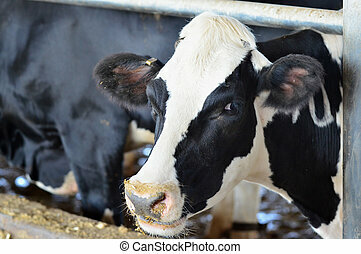 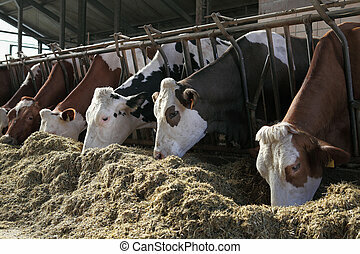 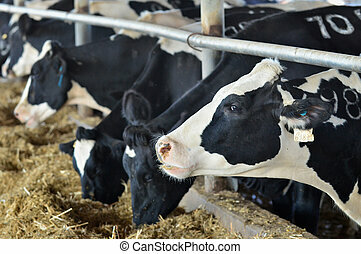 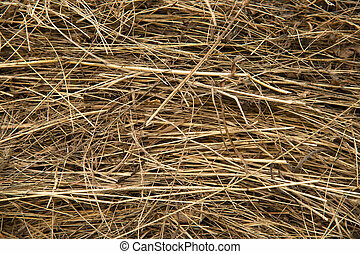 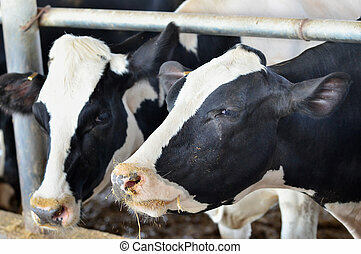 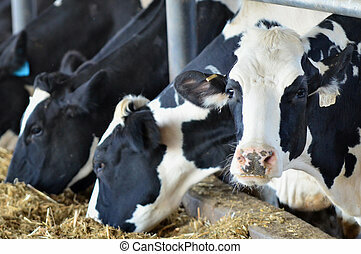 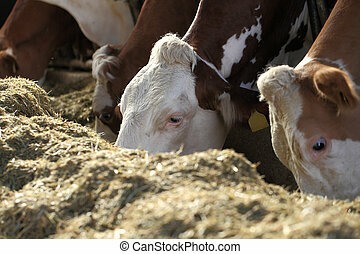 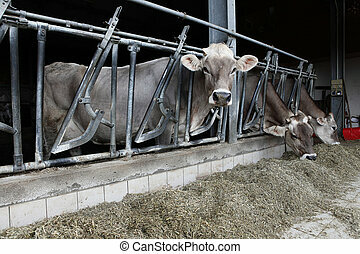 Farm animals - cows. 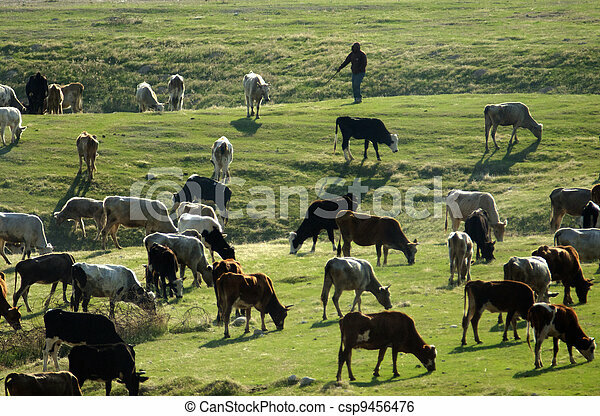 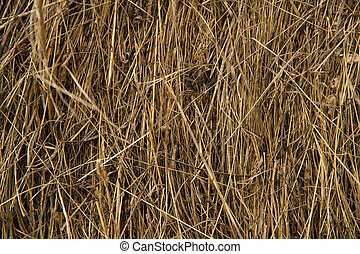 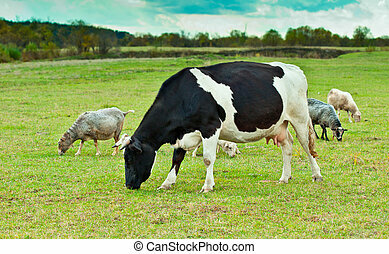 A shepherd grazing cattle. 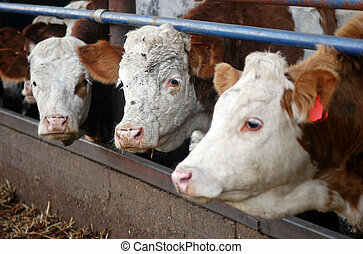 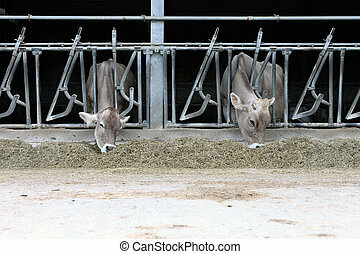 White and brown cows in a Dairy Cow Farm. 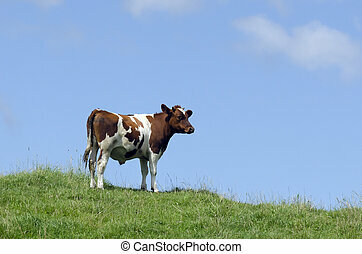 A brown milk cows in a pasture with lush green grass. 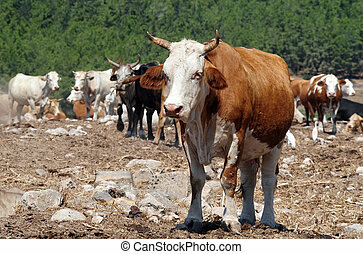 A big brown cows grazing the land of the Golan Heights, Israel. 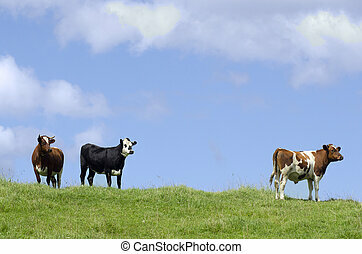 Brown, black and white milk cows in a pasture with lush green grass. 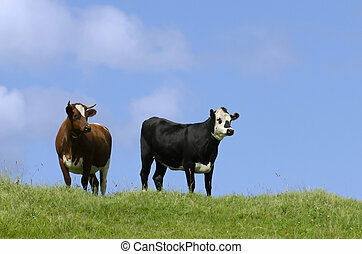 Two brown and one black and white milk cows in a pasture with lush green grass. 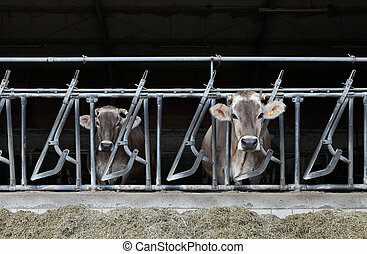 Black and white cows in a farm cowshed. 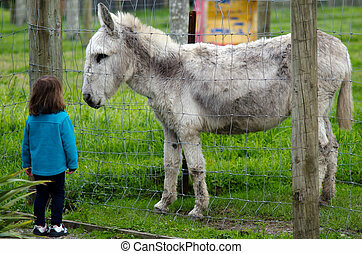 MATAKAN, NZ - JUNE 02:Little girl (Talya Ben-Ari age 3) looks at a donkey in a farm on June 02 2013. 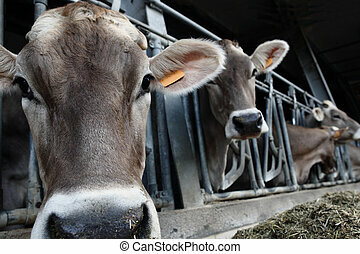 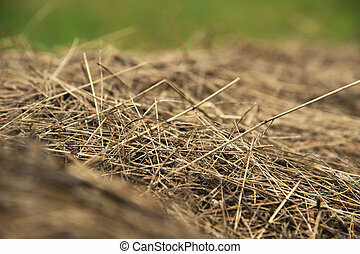 Farm animals including cows, sheep, pigs, chickens and goats, can pass diseases to people. 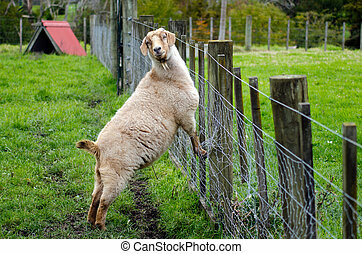 A female goat in a farm. 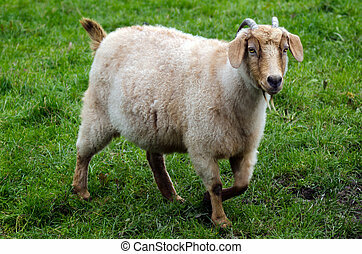 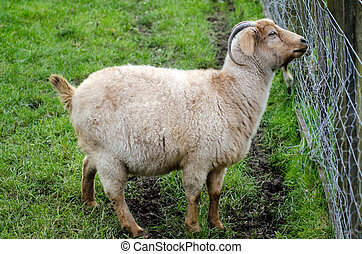 A male goat in a farm. 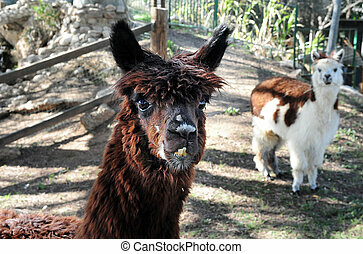 A brown lama in a lama farm.